Potty Training Backslide | Did Your Toddler Lose Interest? Potty training is pretty exciting in the beginning. But what to do when the thrill is gone; when it’s not so exciting to interrupt a fun activity to go to the potty; when wearing diapers seems to be as easy as anything else? If your child seems to have lost interest in the whole idea of potty training, starting over and using a different approach may help spark that interest again. Reinforce the whole idea of potty training with some of the many children’s books, videos and even toys that are available to get her used to the idea of going on the potty. 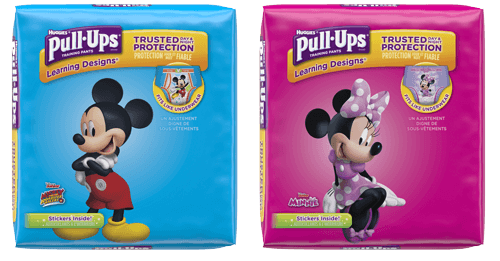 For slightly older children, Dr. Michael F. Wasserman, a pediatrician with Ochsner Health System in New Orleans, LA, suggests making potty training fun by offering a little prize at the conclusion of each potty training session. He suggests a jar of coins, small gifts or snacks kept near the potty. Some kids may not be able to articulate their preferences quite so clearly, but a good grounding in potty training readiness can be invaluable. It also helps to know what kind of personality your potty trainer may have. By taking our brief assessment, Pull-Ups® can help by providing you with personalized tips and advice based on your child's personality.